How to use SSH, SSHFS and VNC/RDP to remotely programm and operate an mini PC from another PC. Programming on mini PC like Raspberry Pi, or Beaglebone Black maybe bit annoying or hard due to lack of some more complex IDEs not available on ARM platform, or just to resource heavy to such computers. Sometimes you may also lack keyboard, mouse and a display to connect to them. In such cases remote access and remote programming may be a solution. All you need is a network connection and proper applications and protocols. In this article I'll showcase how to use SSH, SSHFS, VNC/RDP protocols/solutions for remote access and programming of any (mini) PC. 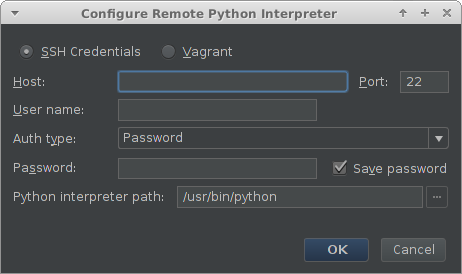 I'll also show how to configure PyCharm to use external Python interpreter (like that from Raspberry Pi). Basic solution for remote access is SSH connection from the PC to the mini PC. Raspberry for example will auto-connect with Ethernet connection. Some others like Beaglebone Black will not so you will have to preconfigure them with the mouse/keyboard/display setup before using them remotely. Where pi is the username (login) on that mini PC. 192.168.1.100 is the IP address of that device within the local network. Beaglebone or other PC would have different users in the system so the username will be different. The IP address must be found. 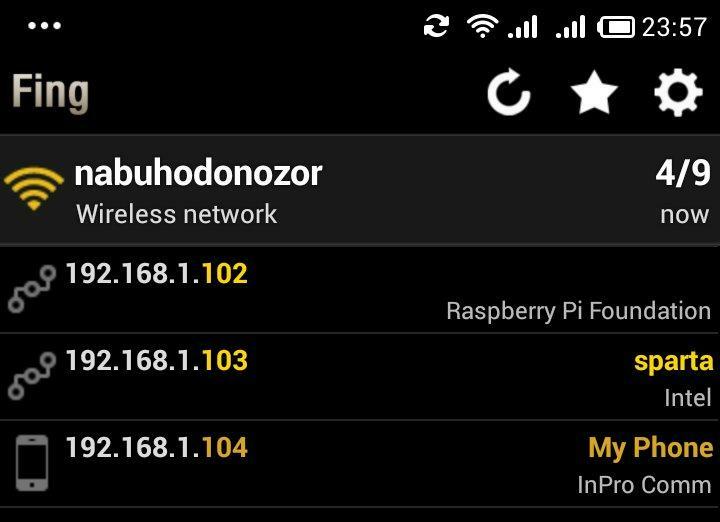 You can find the IP listed in the router control application where it lists connected devices. You can also use scanning tools like nmap on Linux or more user friendly iOS/Android mobile scanning apps like Fing. If you have no tool to do that you may try to guess it. If your main PC got 192.168.1.100 IP then the next connected device should get IP ending with 101. You can use ifconfig in terminal (Linux) to see what's the IP of the PC. When the login and IP is correct you will be asked to enter the user password. After that you will be logged in and you will be able to do whatever is doable from terminal - execute scripts, configure the system etc. You won't be able to use the graphics mode (desktop) that way. The login and IP are the same as when doing SSH connection. Most if not all Linux file managers can accept such string/path and will connect. 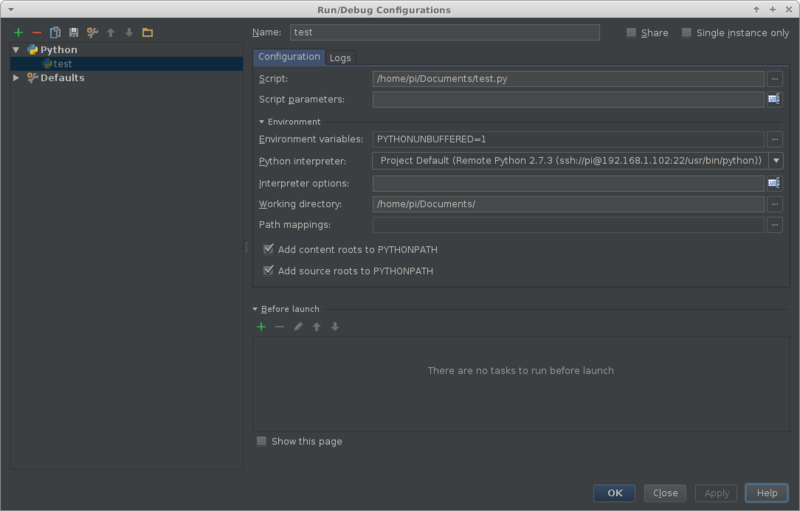 Most IDE and code editors will expect local paths for files and applications to edit. There is a solution to remotely mount a folder from a mini PC on you main PC and edit files easily with any editor or IDE. And on the main PC you will need a client. On Linux you may use vino, remmina or many other apps of that type. I used remmina in this article. Note that when installing VNC server it will ask to create VNC connection password you will need to connect via VNC. Let us start with RDP connection. We need the IP, user login and password. If everything is installed and entered correctly you should get mini PC desktop in a window on your main PC. Not that such remote desktop won't have the responsiveness and capabilities of a native desktop. You may find some animations slow, and some applications UI may not render nicely. Not that there are many VNC clients and they use various settings. 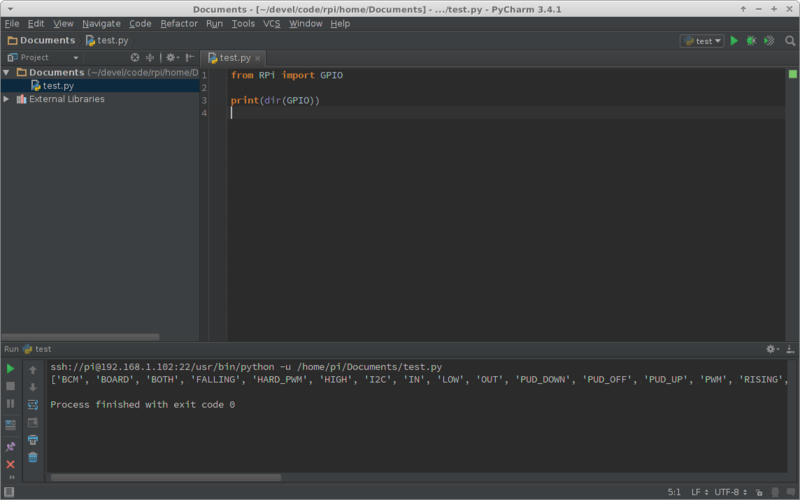 Python has great development environments like PyCharm. 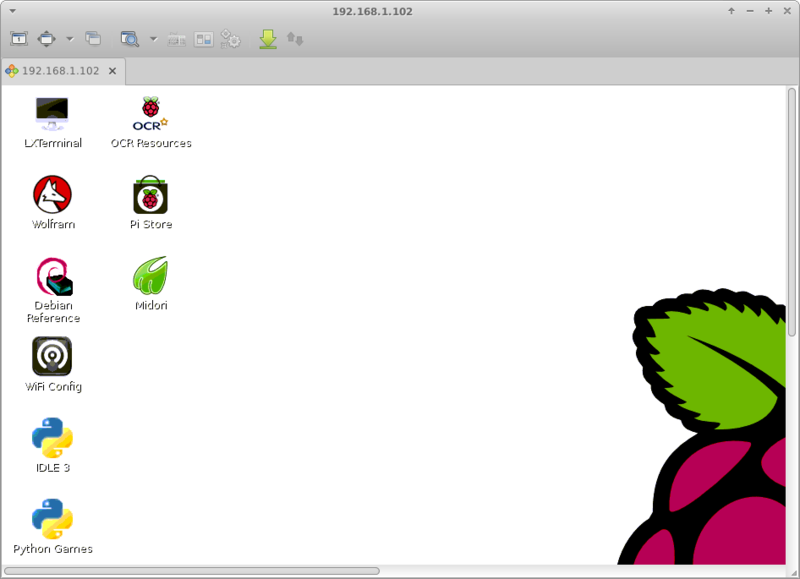 It can't run on Raspberry Pi and similar mini PC, but can be configured to use Raspberry Python interpreter over SSH. You will get support for it unique libraries (like for the GPIO) as well as you will be able to execute the code from the IDE on your PC if configured. In case of Raspberry Pi indexing all of it interpreter libraries took a while. 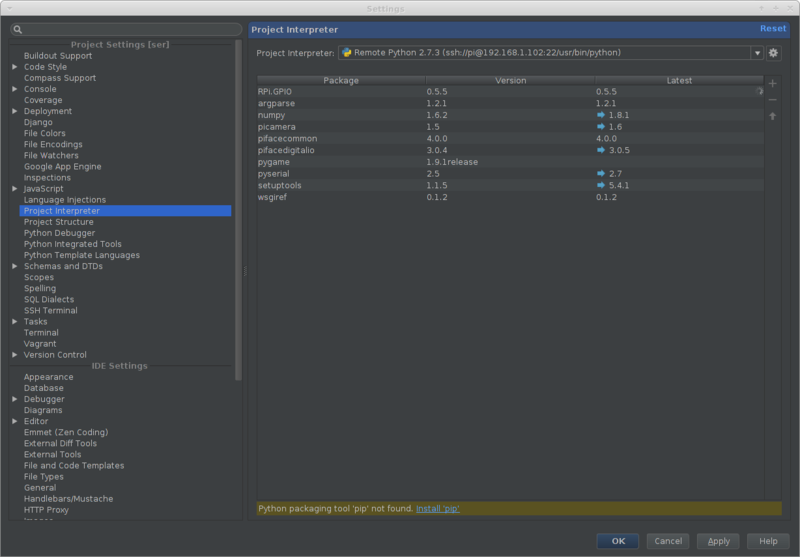 PyCharm also wanted to install setuptools and pip. After that you can use this interpreter when writing code. It will recognize RPi specific libraries, will give code completion tips as well as you will be able to jump to the imported module. You may write code on the main PC and deploy it on the mini PC - either via SFTP or with more advanced solution like fabric deploy scripts. 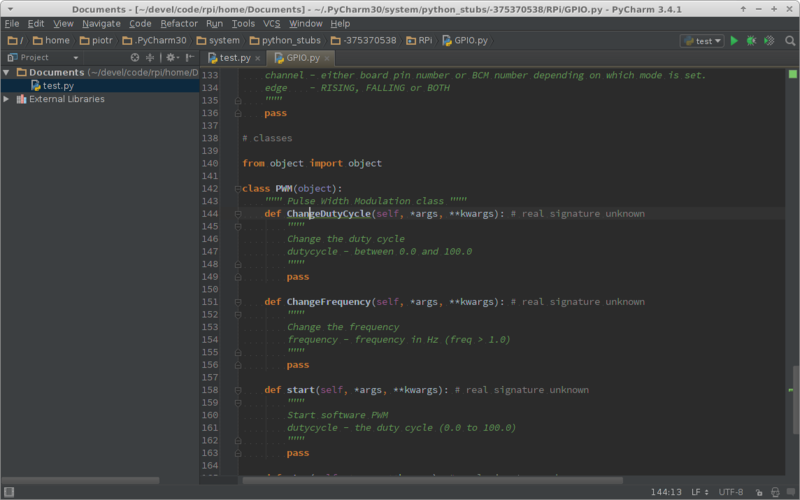 In case of PyCharm we can also play with SSHFS mounted folder - but it may be annoying if the connection breaks and the folder unmouns.